OEAS endorses November 2012 oil and mineral agreements between a Canadian company, Kilimanjaro Capital Ltd, and Southern Cameroons and Cabinda. 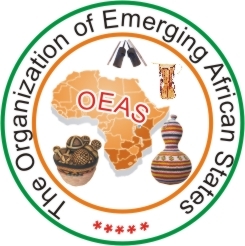 The Organization of Emerging Africa States (OEAS) representing independence movements in Biafra, Cabinda, Southern Cameroons, Mthwakazi (Zimbabwe), Lunda (Angola), Dagora (Burkino Faso), Vahvenda (South Africa), and the French Indian Ocean territories (UMMOA) has expressed its support for economic self determination initiatives by its member states. In November 2012 oil and mineral agreements between a Canadian company, Kilimanjaro Capital Ltd, and Southern Cameroons and Cabinda as reported November 24, 2012 by industry source Oil Review Africa. Ebenezer Akwanga, OEAS Secretary General since 2010, National Chairman of the Southern Cameroons Youth League (SCYL) is a leading member of the Southern Cameroons Government which seeks the total independence of that country. In 1997, Akwanga was first arrested by the government of Cameroun for advocating independence for Southern Cameroons and sentenced in a mass trial of independence advocates to 20 years in jail. During his detention he was repeatedly tortured, beaten and denied proper medical care according to the international human rights organization REDRESS. In 2003, Akwanga escaped prison to Nigeria where he was granted protection by the United Nations. Akwanga has narrowly escaped multiple attempts on his life since then. In 2011 the UN Human Rights Commission found that Akwanga’s human rights had been violated by Cameroun government and that he was owed compensation. Ebenezer Derek Mbongo Akwanga v.Cameroon, UN Human Rights Council, Communication No. 1813/2008. Akwanga was also instrumental in recent negotiations leading up to funding by Kilimanjaro Capital for the Southern Cameroon’s government. During these negotiations gunmen attacked Akwanga’s residence in South Africa on behalf of a state party, according to a November 12, 2012 letter by the South African National Prosecuting Authority to Akwanga’s lawyer (Case No. 9/2/12-512/2012), the matter has been referred to the Chief Prosecutor in KwaZulu-Natal. Cabinda and Southern Cameroons join the independence movement in Western Sahara as aspiring African states that have signed future resource development deals with the private sector. This is a trend which may eventually result in numerous new African nations joining the United Nations.